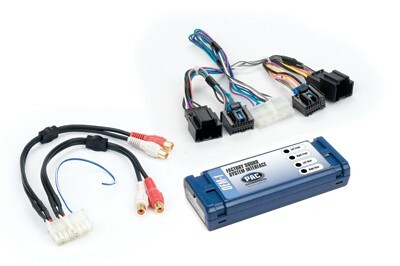 Add aftermarket amplification to your 2003 - 2013 General Motors OE factory radio. Vehicle specific harness plugs into the vehicle's wiring and offers a 4 channel RCA audio output for adding aftermarket amplification. Provides full range audio output 20-20,000Hz; level is controlled by the volume of the factory radio. The 4 female RCA output jacks connect into the new amplifier. The input connectors plug into the factory stereo and vehicle harness.